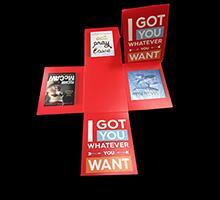 Purchase some Gift Card Covers and give your customers a ready-made gift. Covers are available in packs of 30. Want to buy books of tokens, or if you are a bookshop, add token covers or exchange cards? Go back to Members Shop.